After months of nourishment on a liquid diet alone, the introduction of solid food is a monumental step for both parents and babies. Now, the big world of diverse food options is ahead of you—and that's definitely cause for celebration. But if you're a bit uncertain about how to safely introduce solids to your baby's diet, that's understandable, too. 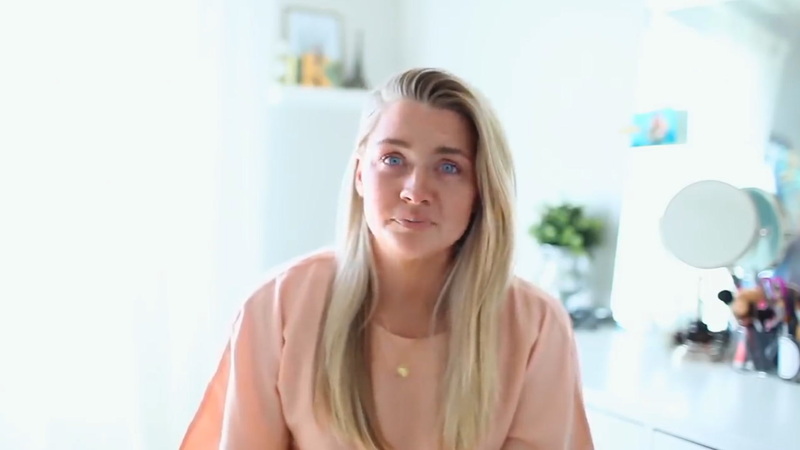 While feeding baby formula or breastmilk is now something you can (almost literally) do in your sleep, graduating to baby food is fundamentally a bit more complicated, especially when you include questions about food allergies and what foods to begin introducing. 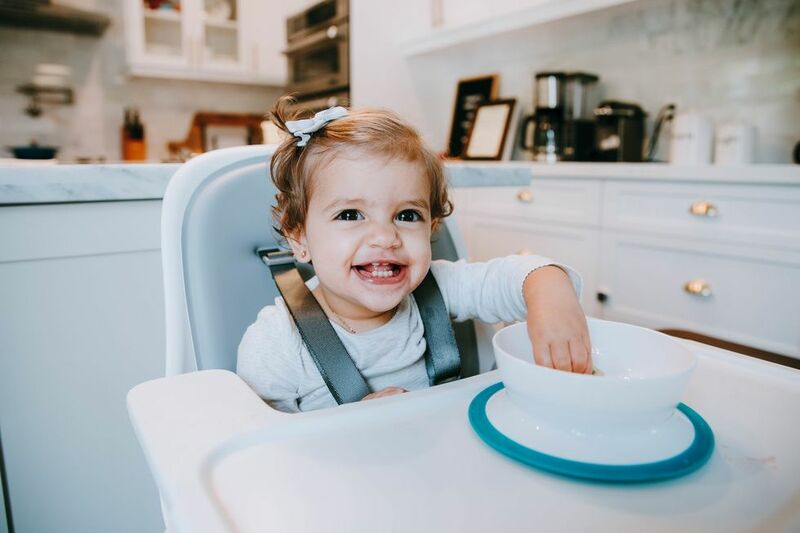 "Introducing solids is a pleasurable time for baby, but it can also be nerve-wracking for a first-time parent," says Dawn Winkelmann, M.S., CCC-SLP. Thankfully, like just about everything else with parenting, you'll catch on fast and then the real fun of family mealtimes can begin. 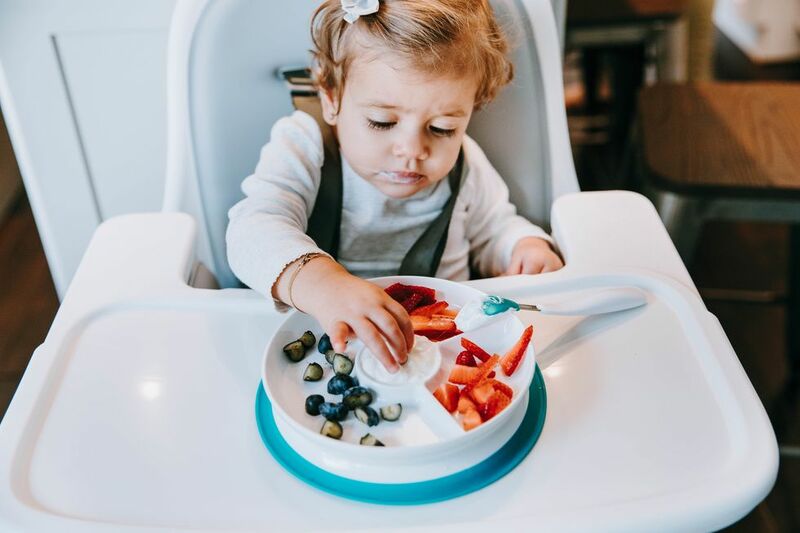 As exciting as it is to introduce solids, rushing into it can have some unintended consequences if baby doesn't get the nourishment they need from formula or breastmilk, isn't physically ready to consume solids or is turned off and refuses foods. On the other hand, waiting too long can have downsides of its own. Weighing all of that, it's best to introduce solid foods to babies between the ages of 6 and 7 months. Although your child's individual pediatrician may greenlight some select foods sooner, the half-year mark is really when you can start the solid adventure. But, as any parent quickly learns, all babies are different. Additional signs your baby may be ready for solids include the ability to sit unassisted, is roughly twice their birth weight and seems to show an interest in foods by reaching for them. 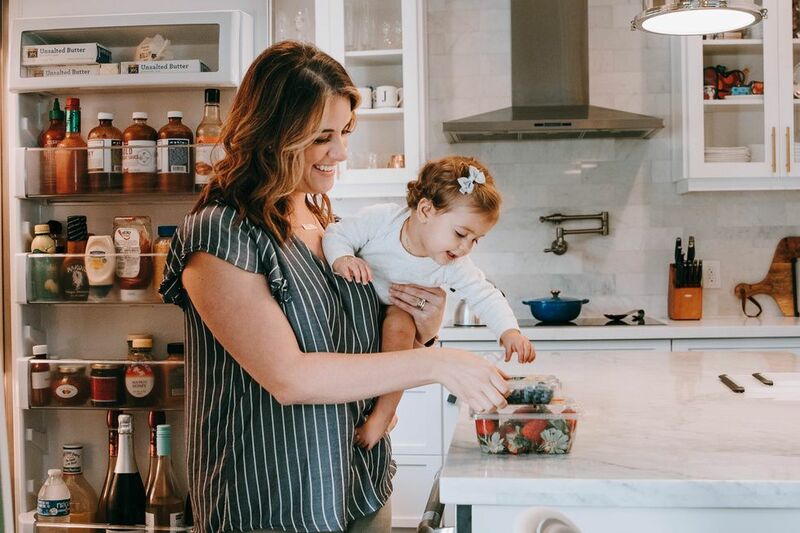 When it comes to introducing baby to new flavors and textures, slow and steady is the best game plan: By introducing foods one at a time, you will have the ability to tell if your child has any adverse reactions. Research also suggests that repetition (giving baby the same tastes several times a month) is a great way to get baby to accept the flavor. In other words: You may be able to avoid battles over eating broccoli down the road if you really give them the time to acclimate to the taste early on. Increasing research also suggests early introduction of some common allergens, such as peanut-based purees or finger foods, are actually in your best interest—but that's something your child's pediatrician can best provide guidance around. 3. What is Baby Led Weaning? Along with which food to introduce is the question of how: Unlike spoon-feeding purees, an increasing number of parents are turning to Baby Led Weaning, the practice of allowing your child to explore foods—starting with soft options like bananas and graduating to harder foods as they age—with their own fingers. 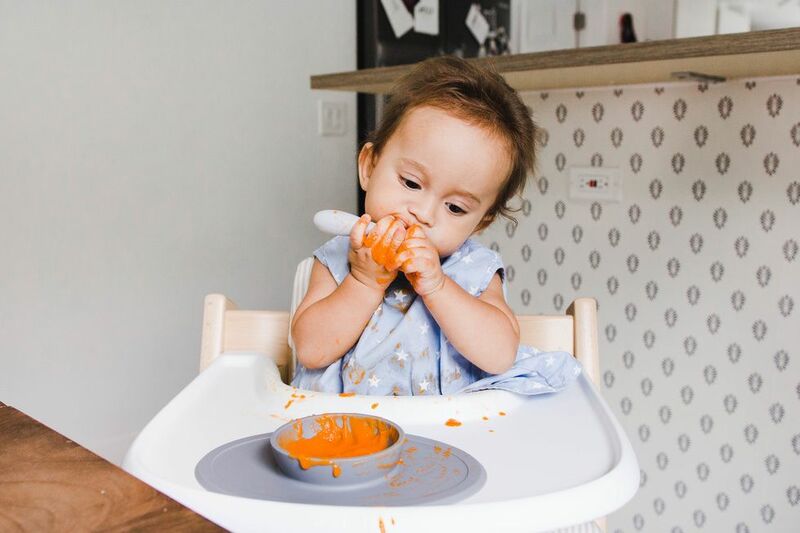 If you decide to go the combo or puree route, you can still get creative in the kitchen by steaming and pureeing your own baby food—and can even mix early foods with formula or breastmilk to help your baby warm up to the flavor. To minimize mess, ezpz's surface-sealed bowls keep everything in place. (And later serve a helpful purpose when your baby starts experimenting with a spoon of their own.) You can even serve smooth purees in their Tiny Cup as a new way to experience the flavors. As you go, don't be intimidated by adding seasoning to baby's purees after they've had the chance to acclimate to the food itself: cinnamon, cumin, tumeric and even chili powder (in small amounts) are great ways to further open the door to all the exciting foods your child will soon enough explore. 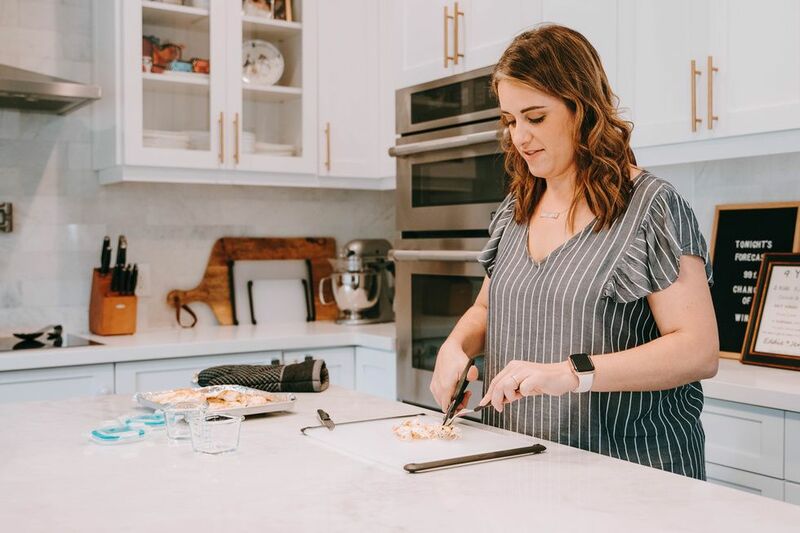 "Whether you are offering purees or thick sticks of food, make it less stressful by introducing colorful foods that are readily consumed by the entire family," says Winkelmann. 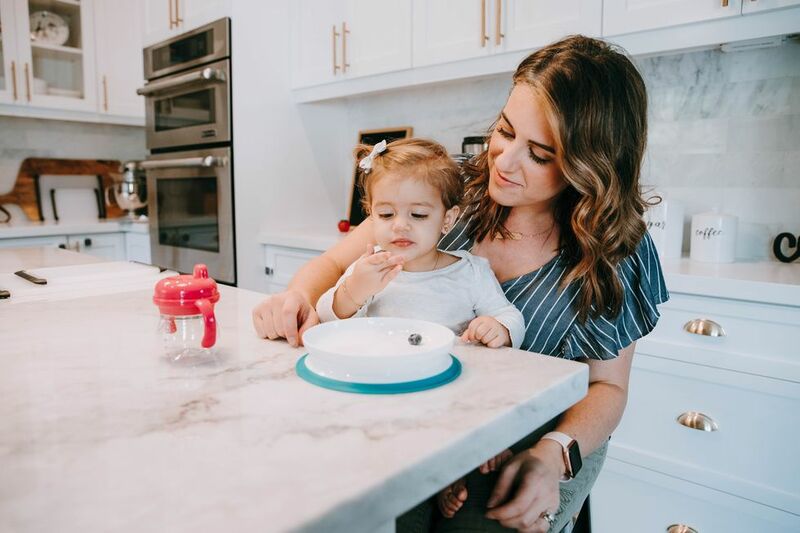 "My favorite piece of advice when choosing how to feed baby is to make sure that it is a safe, trusting and fun feeding experience for the both of you!" Although breastmilk or formula should still be their primary source of nutrition at 6 months of age; introducing solid food is an important aspect of feeding development. 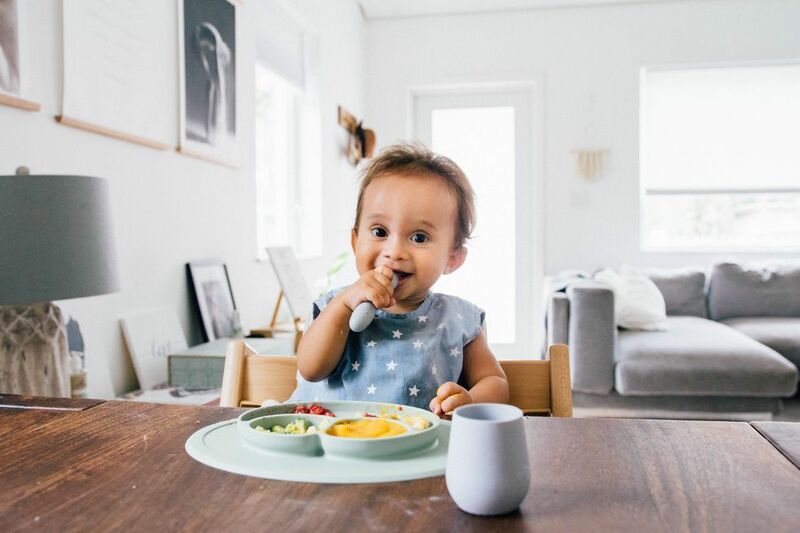 Make this transition to solids fun by giving a variety of flavors, baby-friendly recipes and parent-friendly tools like the placeware line from ezpz—and keep that camera handy for the adorably messy photo opportunities to follow. Just for Motherly readers, ezpz is offering a 20% off discount site-wide from November 28-December 21. Just use the code MOTHERLY20 at checkout! This article was sponsored by ezpz. Thank you for supporting the brands that support Motherly and mamas.